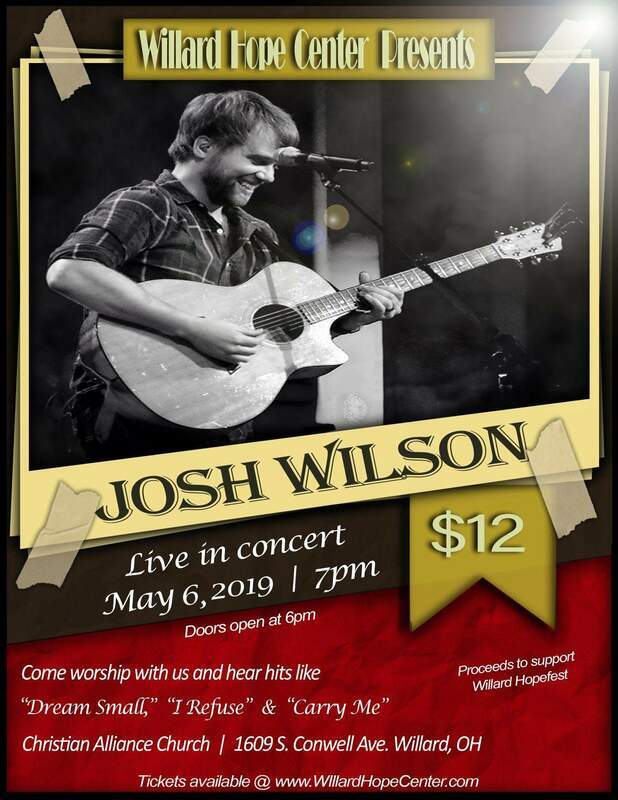 Join us at the Willard Christian Alliance Church on Monday, May 6th to welcome Josh Wilson back to Willard! Come for an amazing, inspiring evening as Josh brings his solo looping tour to town! Tickets are only $12, with all proceeds supporting Hopefest in August. A limited number of tickets are available, so click the image of the flyer or the following link to reserve your tickets today! "I am Loved. The very GOD who created the universe Loves me. And because He Loves, I can live a better life, treat people as I would want to be treated, and do all things Through Christ Who Strengthens Me." The Hope Center building was purchased in 2006 by Tony Cooper. There was a tremendous amount of work to do before the building could be opened to the public. It was nearly a two year process to search for funds to renovating the building. One barrier was the need to install a sprinkler system that was up to code, but over $41,000 was raised to not only install the sprinkler system, but also extinguish all other debt! In September of 2008, the Hope Center was officially opened by Nichoa Schmidt. Three children showed up at the grand opening. However, since then, thousands of kids have come through the Hope Center, which also includes attending numerous field trips. The Hope Center has just finished celebrating its 10th anniversary, and we hope to continue to allow God to work through us to reach the youth of our community for years to come! We Would Love FOR You Visit Soon!